This is a sad year for spring training for us, as it is the final year of having teams in Tucson. 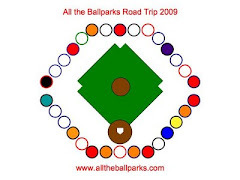 I was totally surprised to find out about the Dbacks and Rockies moving to a new spring training facility in the Phoenix area when we went to our final 2009 game (Dback Encore Game). I do not think I will go to a Dbacks home game this season due to the team moving their spring training, but I might still go for the a Nats game at Chase Field. We have rarely gone to more than one spring training game in a season. Last year we did not even go to one game, as we could not decide on what game to go to since the White Sox left and we had been going to the Cubs @ White Sox game for most of the seasons the White Sox were in Tucson. This year we have tickets to three games. Mik only wanted to go to two games (one at each park), so the three of us are going to the March 7 game with the Dbacks at the Rockies at Hi Corbett and the March 13 game with the Dodgers at the Dbacks at TEP. Dad and I are also going to see the Cubs at the Dbacks game. That game is in the middle of the week and Mik has school, so we did not even give him the option to go if he wanted. Getting tickets to the spring training games were so easy, as we could go do it in person. The Rockies are at a rather old ballpark and the wheelchair seating is very limited. Tickets have been on sale for almost a month there and we were happy that we were still able to get wheelchair seating for the game we wanted. They do, however, only allow one companion seat (the other ticket is for the section above), but that is a good policy to allow the maximum amount to be available to those that need them. The Dbacks spring training facility has a good amount of wheelchair seating, although it can be tricky to get seats together still.